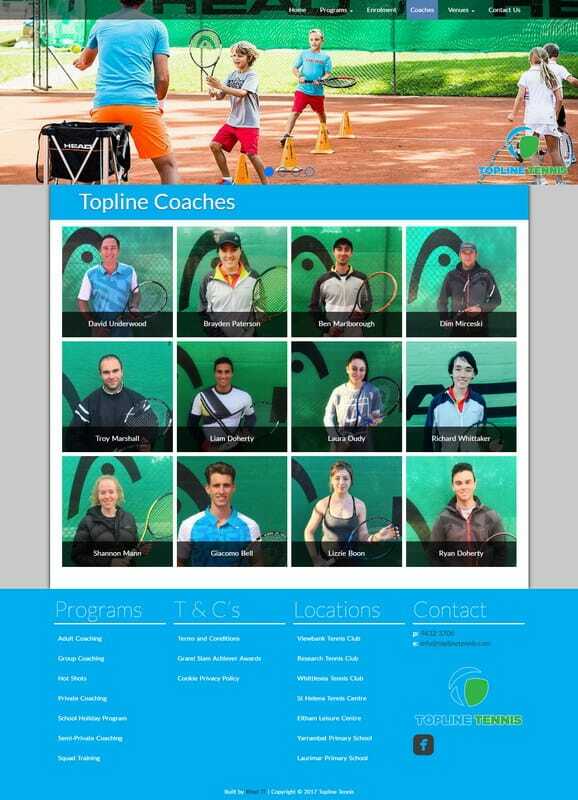 For marketing purposes it was decided to promote Topline Tennis on Facebook more and use Instagram as well. The coaches do a wonderful job getting images of kids having fun playing and learning tennis. 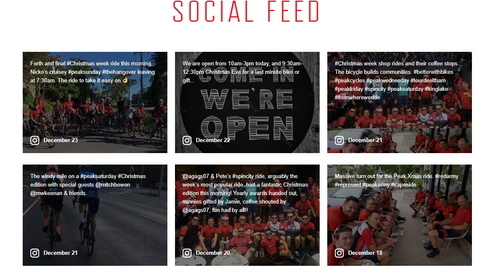 The site redo includes icons so users can go to Facebook and Instagram directly plus icons at the bottom of the page. A Facebook feed is just above the footer, but I think an Instagram feed would have looked better, as for Peak Cycles. Peak Cycles’ Instagram feed. Showing each photo with a text overlay. The developers at Smash Balloon were very helpful in getting this to work. I was frustrated with it as I didn’t realise that the element the code was trying to change didn’t exist when it ran, hence the delay being done with setTimeout. Later the client decided it looked better without it, but it was good to see how versatile this plugin can be. The coach’s page showing a good use of Visual Composer’s Grid Editor. The existing Topline Tennis website uses Joomla which seems to be losing ground compared to WordPress with its many advantages. And it was getting harder to maintain. WordPress does images more easily and is easier to keep up to date. By default it will automatically update the core software itself (although I prefer to turn it off). A rare job where stock images were supplied and they are excellent ones provided by Head, a world renowned manufacturer of tennis and other sporting equipment. I was a bit concerned that they may not look good after stretching them the full page width for the top slide show but the results are fine. The DHVC Form plugin is excellent for creating forms that look great and work well. Forms are easily created using a drag and drop technique and they look great and work well. Both the contact form and the enrolment form were created using DHVC Form. Unfortunate it’s difficult to add custom code to them. 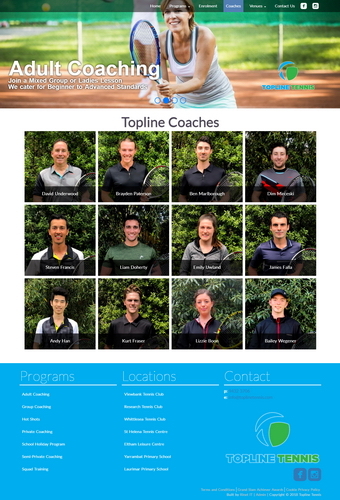 The site can be viewed at toplinetennis.com.